What Difference Does a Good Speaker Wire Make? What Gauge Speaker Wire Do I Need? TIP: We recommend at least 12 gauge or higher speaker wire for all Fluance speakers. Choosing the right speaker wire gauge can be a big step for audio lovers. There are many different products out there, and people may encounter quite a bit of misinformation about which cables are right for them. Many modern audio consumers lack familiarity with wiring. In reality, however, selecting the appropriate speaker wire size isn’t difficult for those who know the basics. For those who want to enjoy their tunes, selecting the right wires is an absolute necessity. Many wireless transmission setups lack the sheer punch of their wired counterparts, and a large number of speakers retail without the necessary connecting cables. In the end, it’s up to the consumer to choose the right speaker wire gauge and hook everything up properly. Speaker wire functions by conducting an electrical signal. This signal’s voltage usually corresponds to the changing volume level of a sound recording, and it powers the magnetic coils which move a speakers’ cones in time. Cables that conduct electricity freely allow more power to travel from the amp to the speakers successfully. This results in fuller sound and less energy wasted overall. One common analogy for how wires conduct electricity is to consider them as pipes that a stream of electrons, or current, flows through. With thicker speaker wire gauges, there’s more “room” for current to flow, and the resistance is therefore lower. Research has even demonstrated a consistent relationship between speaker wire gauge numbers and resistance. For every increase of three gauge numbers, the wire thickness decreases by 50 percent: This corresponds to twice as much resistance! Measuring a system is a critical part of selecting speaker wire, but this step impacts far more than the visual aesthetics of a given audio nook. Wire resistance increases along with wire length. Although the effect usually isn’t audible at normal distances, really long wire runs definitely detract from sound quality. Longer wires also pick up radio interference and other forms of static that might put a damper on someone’s listening experience. 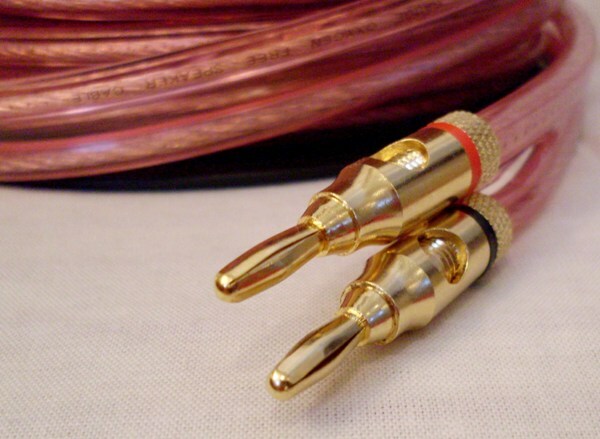 Every speaker wire material, from copper to gold, has a unique conductivity. In simpler terms, some metals transmit electricity better than others. The age-old question for audiophiles, however, is whether this fact makes an audible difference. Even the most exacting audiophiles may be able to get acceptable sound quality without buying some big-name speaker wire brand. Sure, features like gold plating and anti-noise technology can help deliver nice sound under certain conditions. Most people, however, find that simply choosing a sufficiently thick speaker wire gauge produces similar results. When selecting speaker wire, the gauge is the most common place to start. There are multiple rules-of-thumb people can follow. For instance, some audiophiles prefer to stick with 14 gauge and lower for anything longer than 50 feet, while others use more complex calculations to decide what they’ll install. Remember that thicker wire never really hurts sound quality. It may even be critical for longer runs! While going down a few gauges is more expensive, it’s a great way to produce high-fidelity sound. Traditionally, most speaker wire doesn’t include connectors. In order to keep their products cross compatible, manufacturers often sold plain cable with unadorned ends. On classic speaker and amp terminals, users make hookups by stripping the end of a speaker wire and inserting the exposed metal into a junction box. Some modern systems and other manufacturers now include their own proprietary connectors, but these are rare. In most cases, today’s cables are supplied with pin, spade or banana plug connectors. While people can still go with bare wires, they might not be as mechanically sound, so they’re less appropriate for installations where vibration or motion are present. Superior material selection and advanced manufacturing techniques make this speaker cable a great choice for wire. 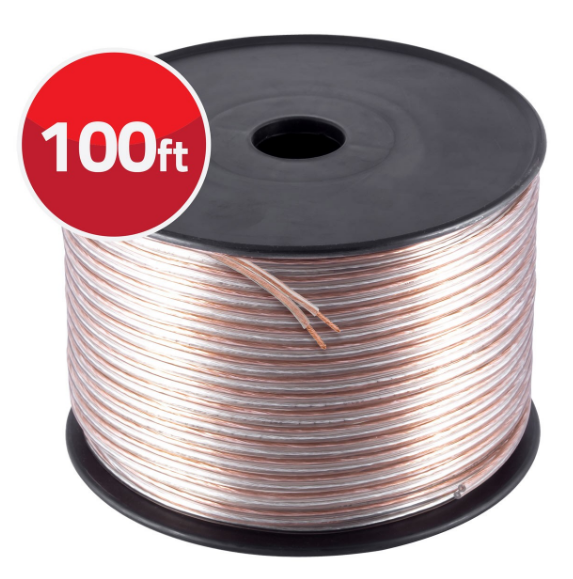 Don't let low-grade speaker wire be the weak link in your system.